Last weekend my love finally got the piano moved from my dad’s house. It was one of the happiest/saddest moments I’ve had in a while. Seeing it in our home. 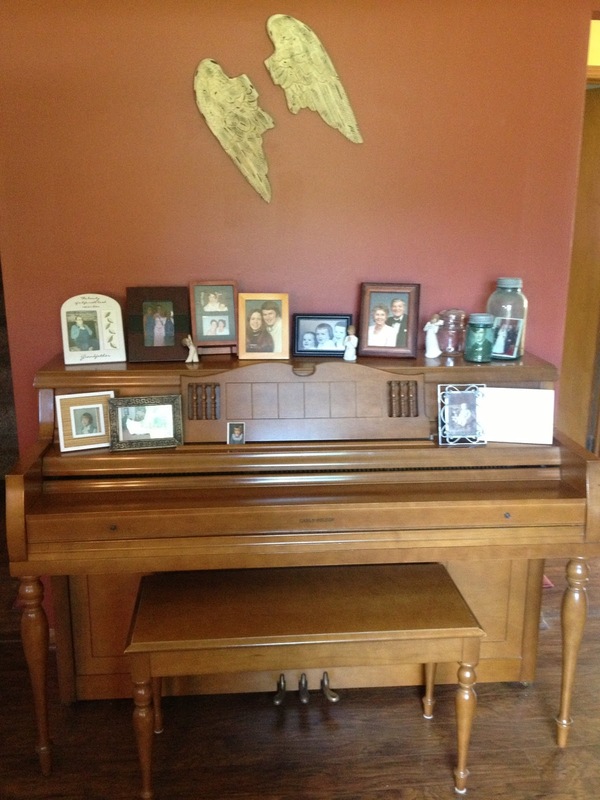 This piano was a part of my every day as a child for as a long as I can remember. Before I learned to play I watched my mom give piano lessons to many friends and family. Then she tried to teach me. It didn’t take us long to realize it was probably a better idea for me to receive lessons from someone else to avoid tears and possible arguments. Then we had an organ and the piano. Mom practiced every Sunday morning on the organ, sometimes with her headphones, while the cinnamon rolls baked. It was that sight and smell I can still remember. Walking out from the hallway to the kitchen and seeing her practicing for Sunday church service. Smelling the cinnamon rolls in the oven. Those are just moments I will never forget. I spent many hours on this piano practicing for weekly lessons with Mrs. M or the annual recital that always brought my nerves to a full tail spin. Many times my mom would sit and listen to me play. 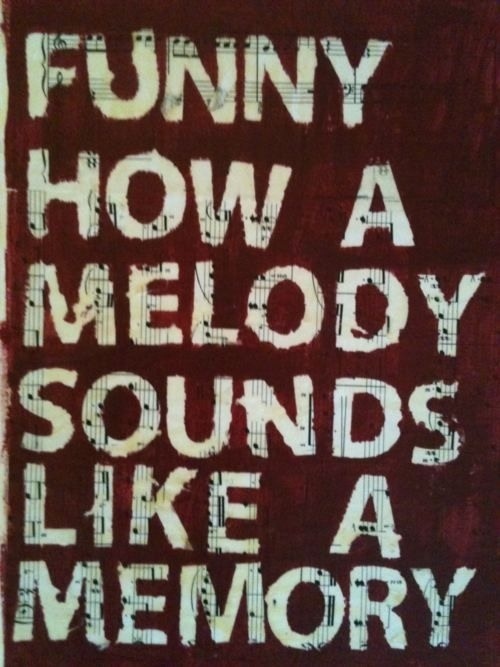 She always told me it sounded wonderful and that she was proud of me. Even on the days I was extremely frustrated with the piano and harder pieces I was trying to learn I kept trying for one reason…..to make my mom proud. So back to my point. The piano was finally delivered to the house two weekends ago and this week and last I’ve had a few chances to sit down and play and become familiar with it again. 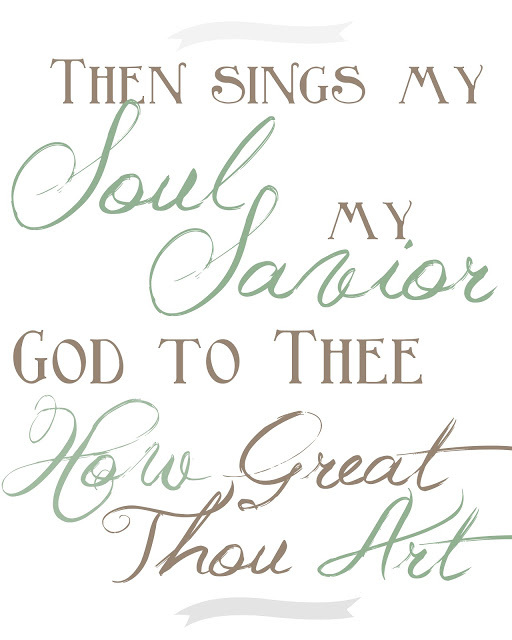 First song I chose….”How Great Thou Art.” My favorite hymn ever. As I played I didn’t make it through the first page before tears fell. They were both tears of sadness and tears of joy. Joyful that I had this piece (rather large piece) of my life back in my life. Sadness that I will never hear her say those words again, or hear her play the organ, or smell her cinnamon rolls on Sunday morning. I’ve been playing all week. Just like writing in this blog…it is very therapeutic. I’m looking forward to mastering some of the old pieces I use to play with ease.